This package offers the convenience of scheduling three, one-hour annual Akashic Records Readings. You may choose any combination of the following readings: "Akashic Records Reading: Past, Present and Future" and/or "Akashic Records Reading: Past Lifetimes." The goal is to continue with your healing progress by identifying and releasing any limiting beliefs that you carried with you from a previous life into this lifetime. With this package, you will be able to follow up on your progress regarding your personal growth, improving relationships, canceling negative thoughts, releasing your ancestral lineages addictive and negative limiting behavioral beliefs and patterns, blockages, whether karmic, emotional, financial, professional, spiritual and/or relationship related, among other things, based on healing messages received from the Masters and Teachers to help you release what no longer serves you and achieve your goals. It is recommended that all three readings are spread out throughout the year. This is a fun and powerful way to incorporate meditation and healing while your "Akashic Records" are open by simply sitting in the healing energy of Akasha and the spiritual guidance of the Masters & Teachers. The purpose of this session is to focus on receiving healing energy while we have your Akashic Records channel open to any messages that may come through for you. We will not ask the Masters & Teachers any specific questions while your records are open. However, we will just allow for messages to flow from the Masters & Teachers. 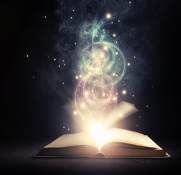 We will open your Akashic Records and do a guided meditation, "Manifestation: Three Wishes." You may write down your three wishes ahead of time and bring them with you on the day of your appointment. "Chakra Toning/Balancing" will also be included to reap the benefits of additional healing as you emulate specific vowel sounds into the Universe, meditate on your heart's desires and immerse yourself into the magical, healing and peaceful energy of Akasha. With this package you will receive an "Akashic Records: Mini-Reading" and a "Chakra Toning/Balancing." During your 30-minute Akashic Records Reading, you will be able to ask four quick questions. You will also enjoy the healing benefit of balancing your chakras by emulating vowels with the added benefit of having your Akashic Records are open. This is a great package if you are seeking answers from the Masters & Teachers to non-in-depth questions. This package includes a combination of two services. It allows you to choose one meditation of your choice, either a "Grounding: Mother Earth Meditation" OR "Manifestation: Three Wishes." You may combine either meditation with "Chakra Toning/Balancing".